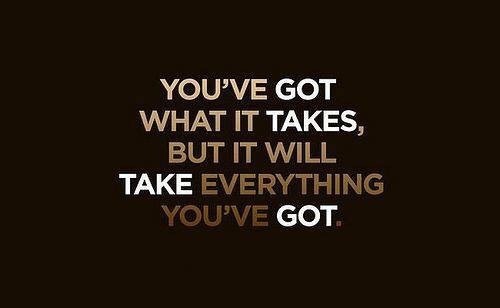 Most people have what it takes but they are not willing to give everything they got. When you give everything you got there will be a time where you will have nothing left, and you are left vulnerable. I attest it is in this state of vulnerability that desperation arises. And desperation is the key ingredient that spurs one into relentless action to overcome any and all obstacles. The feeling of having nothing left creates a desire to get everything back and more. You just get to keep the little you didn’t give.